"That is the real position; transcendental loving service to the Supreme Personality of Godhead, Sri Krishna. That is our real identification. All other identifications are false or temporary. 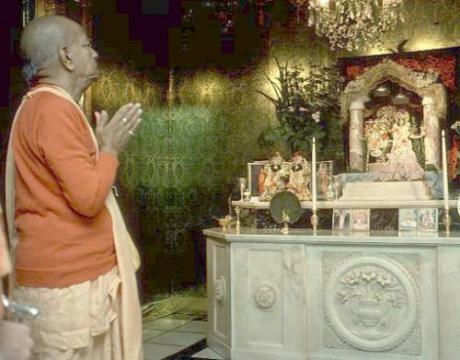 Lord Caitanya said that 'I am the servant of the servant of the servant 100 times removed' and similarly we should think ourselves as the servant of the servant of the servant and this attitude will lead to success in Krishna Consciousness."